The last kiss of the night by dusk light. Bride and groom kissing under the street lights moments before their party started. 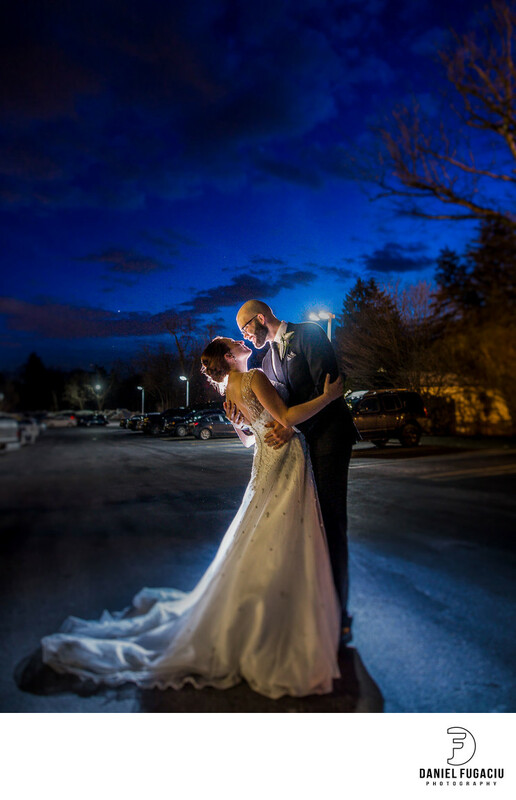 Backlight was provided by a powerful flash integrated with our Canon system.